For us at Sertão Games, design and development is an amazing and inspiring professional activity, and we want to make sure everyone who’s interested in games have the chance to embrace in this creative process. We organize and host a series of workshops and game jams to ur local community. In this page, you can find a summary of recent and past jams. Dark Side of the Jam 2013 (march 8th to 10th) – Sertão Games is the first confirmed international Satellite Jam location for this exciting NASA-hosted game jam. 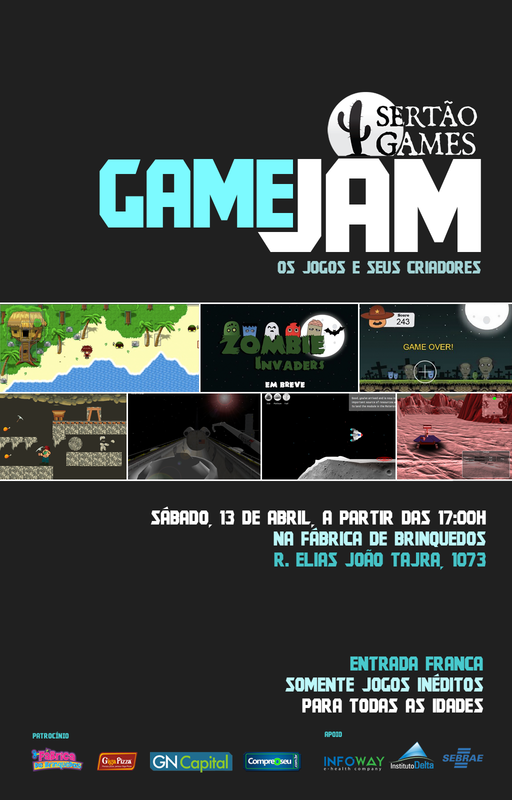 Sertão Game Jam (in portuguese) – this is our year-round game development workshop. In this page you can find general information, and the progress and results of past instances.